When I first picked up Assassin’s Creed: Black Flag, I couldn’t help but think to myself it’s probably going to be the same as all the others; I call it, the ‘Call of Duty Concept’. Seems as if most companies want to push out the same product with little differences, because we consumers will buy games based off the original hit title name. As for AC: Black Flag, I was shocked at the improvements made over the years. Ubisoft really polished this game from what I can tell. Let me throw in a little disclaimer on my part; I’ve only played Assassin’s Creed, Assassin’s Creed II and now AC: Black Flag out of the six major installments in the series. I also must admit, I enjoyed the original Assassin’s Creed, but did not care too much for AC II due to the repetitive concept in the game. With that being said, skipping ahead from AC II to AC: Black Flag, I can completely see differences in gameplay for a positive change. The story to AC: Black Flag takes place in the 18th century when Piracy was at its peak in the Caribbean. Following a pirate named Edward Kenway, grandfather of our protagonist in Assassin’s Creed III; he finds himself in the middle of a battle with the Assassins and Templars. 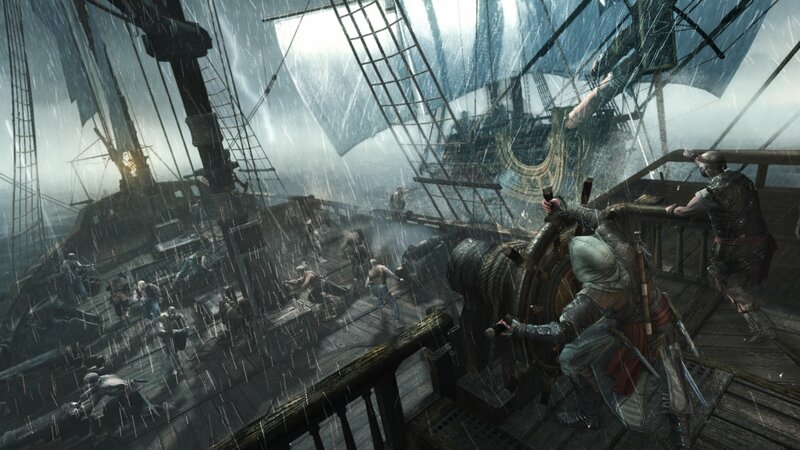 AC: Black Flag introduces a new method of exploration involving Edward pirating a ship in an open world map. This open world map design has been a high point with critics (including myself), as well as side-questing and ship combat. It gives the game a whole new light and keeps things from getting stale. The third-person viewing returns during land exploring, stealth tactics and melee combat. Several great features are included within AC: Black Flag; upgrading weapons and gear, upgrading ships and recruiting crew members to fight by your side during ship piracy. As for the graphics of AC: Black Flag? Let me tell you, they are nothing short of amazing on the Xbox One. Great detail has been implemented within the game. From the distant seas to the textured land. It is apparent Ubisoft took their time and used the next-gen consoles to their advantages. Everything you’d expect from a next-fen game is here. Sneaking around, shooting your guns, making a blade kill and running through the market place are all accurate. Better than before. I really enjoyed the first Assassin’s Creed but things just fell short for me in Assassin’s Creed II. 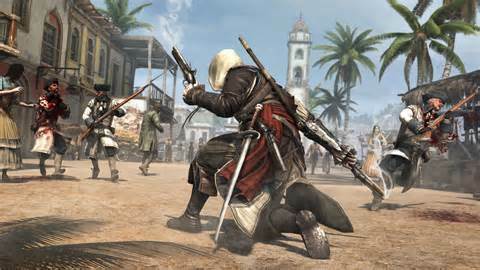 As for AC: Black Flag, this game has re-sparked my interest in the series. I was hooked wanting to play more and more. 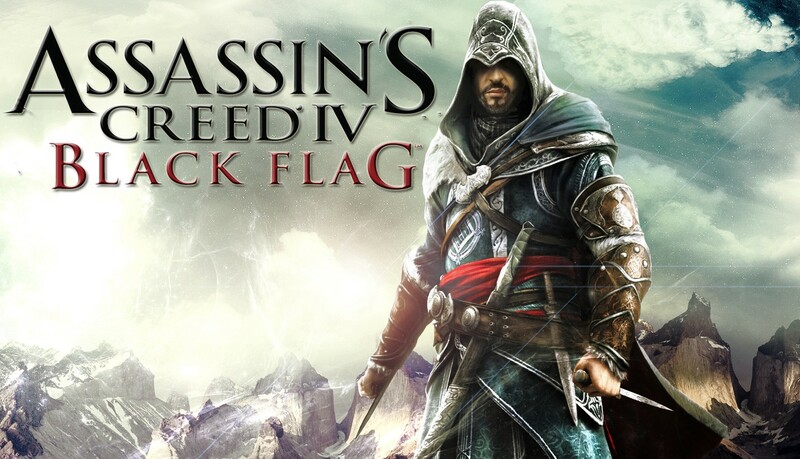 If you were like me and gave up on Assassin’s Creed as some point, pick up AC: Black Flag and give it another chance. You won’t be disappointed. In fact, you may even pick up the older copies and follow the stories to catch up. Twitch.tv, Free Pokemon and more! Call of Duty: Elite, 3DS Birthday and Watch Dogs Release date?